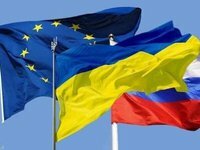 The tripartite talks between the energy ministers of Russia and Ukraine and Vice President of the European Commission on the Energy Union Maros Sefcovic on transit of Russian gas to Europe via Ukraine after 2019 are scheduled for October, a representative of the Russian Ministry of Energy has told Interfax. According to the Russian ministry representative, several dates were suggested for expert meetings next week or at the end of the month. The specific date is being selected. "A written proposal was submitted to the Energy Ministry by director of the EC's directorate for the internal energy market Klaus-Dieter Borchardt to conduct two consultations at the expert level on the issue of Russian gas transit via the Ukrainian territory. The proposed date for the first meeting is either September 12 or September 13, the second - September 26. The matter of conducting expert consultations is being elaborated in the Energy Ministry. The participants of the meeting and their dates will be announced later," he said. Sefcovic, in turn, said in an interview with Bloomberg said that gas talks at the expert level will be held next week at a "dynamic" pace. It is expected that the experts will discuss the conditions and volumes of Russian gas transit through Ukraine.